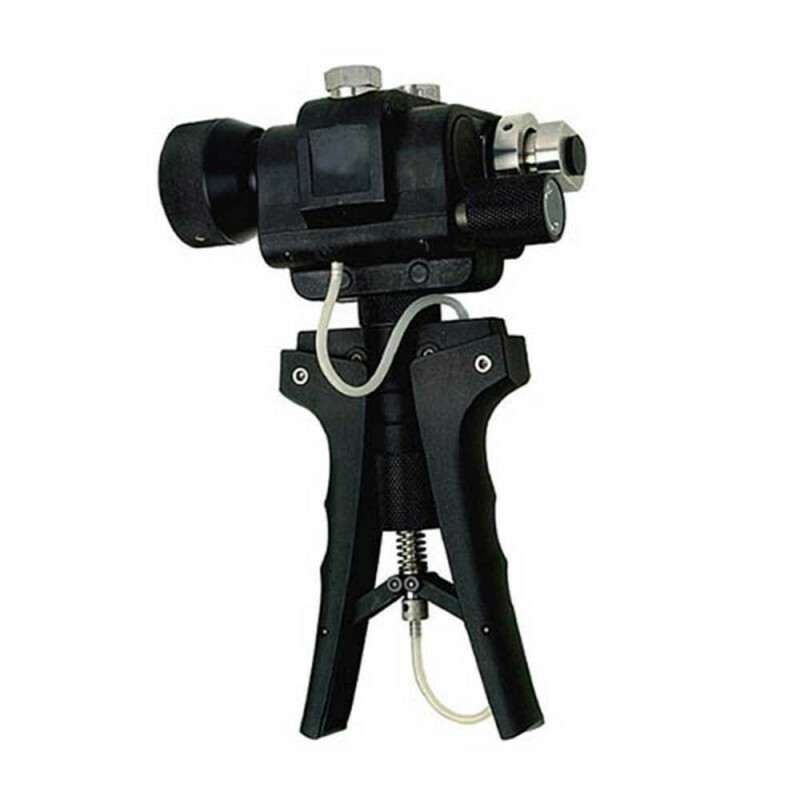 Includes: PV411A, user manual, transit case, 50 cm length of high pressure flexible hose terminated in 1/4” BSP (female), 1/4” BSP (male) to 1/4” and 1/8” BSP (male) adaptors, 1/4” BSP (male) to 1/8” NPT (male) adaptor, a set of stainless steel BSP test point adaptors: 1/4” BSP (male) to 1/4” BSP (female) swivel, 1/4” BSP (male) to 1/8”, 3/8”, and 1/2” BSP (female), 1/4” BSP (male) to 1/4” BSP (male), bonded seals for hose and adaptors. 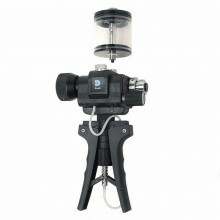 Includes spare ‘O’ ring seals for reservoir and swivel adaptors. 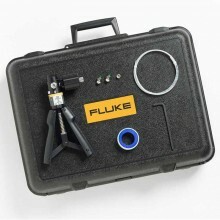 For many years Druck have produced pneumatic and hydraulic pressure generation systems for a wide range of portable pressure calibrators. This experience has resulted in the PV 411A, which combines four common pressure generation requirements into a single, easy to use unit. 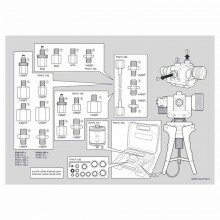 The GE Druck PV411A-P Four-In-One Hand Pump is the ideal field tool for applying test and calibration pressures to sensors, gauges, switches, indicators and recorders. 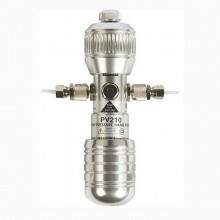 The GE Druck PV-411 A is also a low cost pressure source for workshops and laboratories. 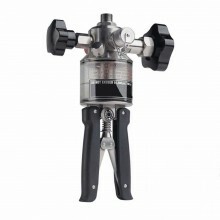 This wide capability removes the need to carry several hand pumps. 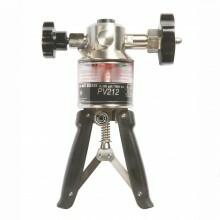 The PV 411A generates gas pressure up to 60 bar, exceeding conventional hand pumps by more than 30 bar. 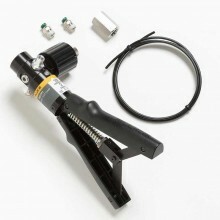 This combined with an improved P/V selector value provides a more controllable release of pneumatic pressure. 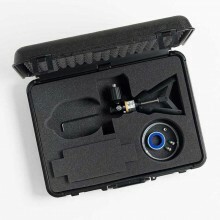 This extended capability enables many new applications to be addressed. 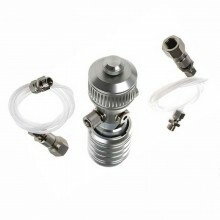 Multi-function “4 In 1” handpump. 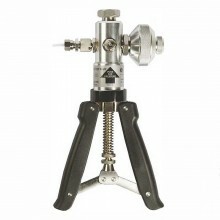 60 bar pneumatic, 700 bar hydraulic. Vacuum priming for hydraulic systems. Low pressure (gas) 0.1 mbar resolution. 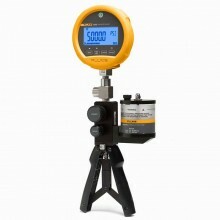 Medium pressure (gas) to 60 bar. 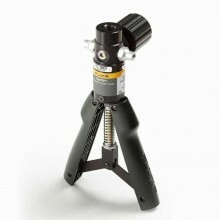 High pressure (hydraulic) to 700 bar. 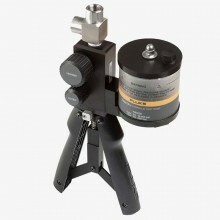 Large volume (pressure) adjuster Easy to turn for accurate pressure/vacuum setting. 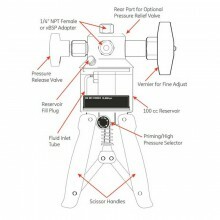 Pressure/vacuum valve Pressure/vacuum selection and fine control release. 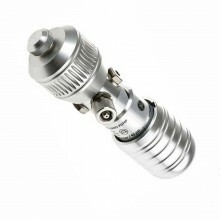 Stroke restrictor Limits the pressure generated per stroke. 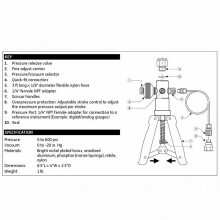 Adjustable protection valve Adjustable overpressure protection from 30 to 700 bar. Swivel head Provides optimum viewing angle for reference indicators. 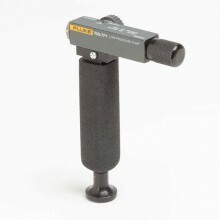 Ergonomically designed Comfortable grip for frequent single or two handed operation. Teflon anodised parts Reduces friction and wear on moving parts. 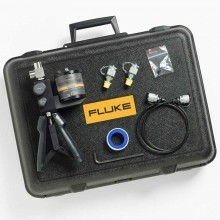 Multi-axis G¼ ports Convenient connection of gauges, hoses and reservoir. 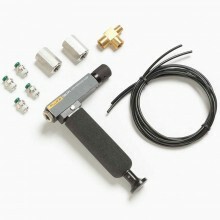 High viscosity capability Hydraulic pressure media up to 150 cSt @ 40°C. Pressure connections ¼ in NPT female. Reservoir connection ¼ BSP female. Dimensions 26 cm x 13.5 cm x 9.5 cm. Weight 2.5 lb, (1kg nominal). Druck PV411A warranty One year.